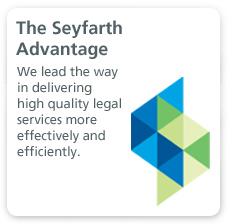 At Seyfarth Shaw, we are leading the way to deliver legal services more effectively, more efficiently, more transparently. 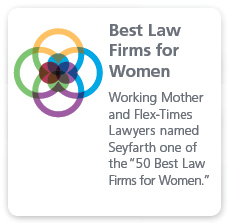 Seyfarth Shaw LLP provides thoughtful, strategic, practical legal counsel to client companies and legal teams of all sizes. With more than 850 attorneys in the U.S., London, Shanghai, Hong Kong, Melbourne and Sydney, we offer a national platform and an international gateway to serve your changing business and legal needs in litigation, employment, corporate, real estate and employee benefits. 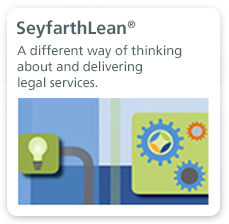 We have gained acclaim for our innovative SeyfarthLean client service model, which incorporates the core principles of Lean Six Sigma to the delivery of legal services, and we continue to develop new reporting and project management tools for greater transparency and collaboration with our clients. Our efforts have contributed to our recognition by in-house counsel as ‘Best of the Best’ for client service within the BTI Consulting Group's Client Service A-Team and being named by the Financial Times U.S. Innovative Lawyers Report among the most innovative law firms. Seyfarth Shaw. The difference is clear. Seyfarth has been named to BTI Consulting's Client Service A-Team for the 12th straight year. Steve Poor recognized as one of law's "most innovative" leaders.